Sarah Morales is an Outreach Associate with the Partnership for the Delaware Estuary. As such, her chief responsibility is to organize and implement creative programs and projects that engage the public. Before joining PDE full time, Morales worked at PDE part time as an outreach and volunteer program developer through AmeriCorps Public Allies Delaware. She spent another term with AmeriCorps as the Friends Group Developer for Delaware State Parks. 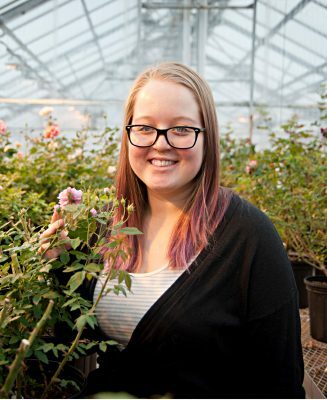 She has also worked as a Mobile Market Manager for Bright Spot Farms and as a Garden Intern for the University of Delaware Botanic Garden. Morales has a Bachelor of Science degree in Landscape Horticulture and Design with a minor in Psychology from The University of Delaware. She likes to spend her free time knitting, reading, and visiting botanical gardens throughout the country. To contact Morales, please call (302) 655-4990, extension 106, or email smorales@delawareestuary.org.